St. Mary of the Immaculate Conception, 219 Bean Ave. Celebrate Our 150 Years of Ministry in California! 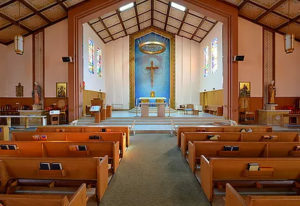 Join us for the celebration of the Eucharist and reception at St. Mary of the Immaculate Conception in Los Gatos. Villa Maria del Mar, 21918 E Cliff Dr.
Fire of Desire In a contemplative setting by the sea, women ages 20 to 41 are invited to ponder and discuss The Fire of Your Desire as we explore the questions: Who am I? Who am I becoming? How am I called to love and serve? For more information, click here.